Omasosa's Book: Trump Wanted To Be Sworn-In On Art Of The Deal Instead Of The Bible To Sell More Copies - Joe.My.God. 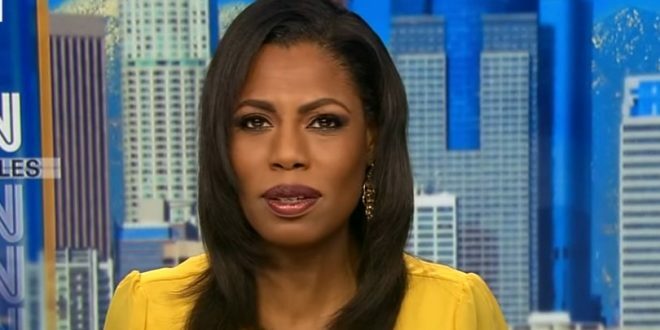 Omarosa Manigault Newman claims Trump wanted to use his own business book at the swearing-in ceremony rather than the bible. “He asked me, ‘Omarosa, what do you think about me getting sworn in on The Art of the Deal?’ ” Manigault Newman writes. “I said, ‘Instead of the Bible?’ ” she allegedly said. “Yeah. The Art of the Deal is a bestseller!” Trump replied, according to her account. “It’s the greatest business book of all time. It’s how I’m going to make great deals for the country. Just think how many copies I’d sell—maybe a commemorative inauguration copy? !” She said he then played it off as a joke, but she knew he was serious.